My husband and I love to watch a local Sunday morning 30-minute TV show called Texas Country Reporter. The show usually features very cool Texans (or transplanted Texans) doing very cool things. Keith and I sometimes use that program as a guide for our road trips. 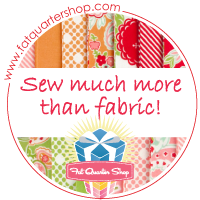 Several months ago, they featured a quilter named Terry who used to be a critical care nurse, and she gave up her professional life to open Lone Star Quiltworks in Bryan, Texas. Of course I was glued to the episode and then had to run over to her website and check her out. While I was surfing around their site, I came across the most gorgeous quilt kit! It’s a Block of the Month (BOM) called Getting to Know Hue by Nancy Rink. Oh my goodness! This beauty is stunning! I signed up right away and my first package came in the mail yesterday. I’m so excited to get going on this! Just look at that center star! I’ve never tackled anything like this. Such a challenge! It comes in several colorways but being the traditionalist I am, I chose the original version. This month I received the book, the outer background fabric, and Getting to Know Blue. There’s enough blue to make the four blue corner blocks. I like that she allows extra border fabric for each block so the block is too big on purpose. Then you can exactly cut it down to the perfect size to fit. Each month I’ll be posting about my progress and the fabric I get for the following month. I need to get busy! Are you in any BOMs this year? Please share!